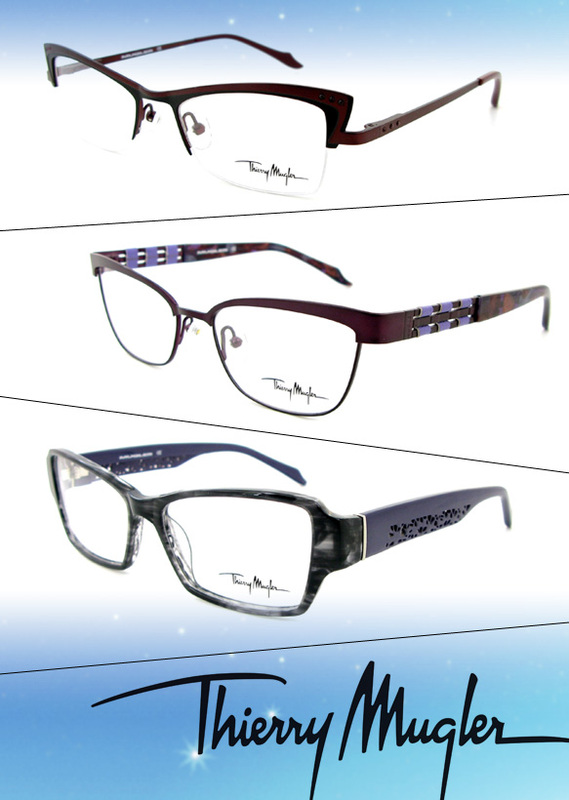 Ladies, dare to be bold in the latest Thierry Mugler specs! Featuring super angular cat-eye and rectangular silhouettes, in both semi-rimless and traditional styles, these dramatic frames are truly pieces of art! Just look at the interlaced leather and metal layering effects along the temples—the intricate detailing is simply impeccable, not to mention quite high fashion. To boot, deep hues of burgundy, brown and gray, with hints of vibrant lavender and white, add a sense of alluring mystery to these color-blocked glasses. So they’re sure to perfectly play up your peepers, yet in a very striking way! Get more deets on these cutting edge frames here, or by following Eastern States Eyewear on Twitter or checking ‘em out on Facebook!